When thinking of making any additions to your landscape setting it always best to get the help of a professional landscape company. At Krefta Landscaping we have all the experience and the expertise necessary to take on any landscape installation project that you have in mind. Working alongside with our landscape designers we can provide you with all the assistance you require from planning to maintenance. 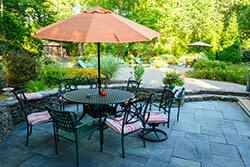 If you live in the greater Eastern Massachusetts region then Krefta Landscaping is the landscaping company for you. We have many years of experience in both residential and commercial installations; no job is too small or too large for us! 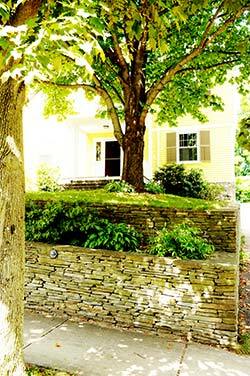 Our staff has all the knowledge of the latest and most innovative landscaping trends. We can provide you with all the resources you need to ensure that you have an installation that is timeless and will serve you and your family well for many years. We have a team of landscape contractors with the highest quality workmanship in the industry; we only hire the best in the business. Everything we do at Krefta Landscaping is to ensure that your landscape installation project is everything you desired and more. Some of the most popular installation these days includes patios and outdoor kitchens. And the reason for this is that property owners are placing a lot more importance on their outdoor spaces and how they are being used. Why have unused space that could be put to great use? 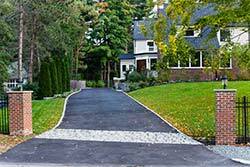 One of the great benefits of hiring a professional a landscape company is that we have all the necessary manpower and equipment necessary to complete any landscape installation project. We understand that any construction project can be a stressful time; so much to organize and decide on. Well you don't need to worry about hiring equipment that you probably have never used before or the manpower to do all the heavy work. At Krefta Landscaping we will take your project on from start to finish and ensure that you are completely satisfied with the end results. To get you on your way we will provide you with a free estimate on your installation project. So simply call us today and we will arrange one of our professionals to visit your site!